It’s getting close! Christmas is almost here and some of you are probably last minute shoppers. (like me) I personally like to shop online now. I don’t like the long lines and all that during this time of year. So shopping online takes away a lot of stress. Trust! Today I bring you a gift for that wine lover. What’s great about this is it can be for HIM or HER. 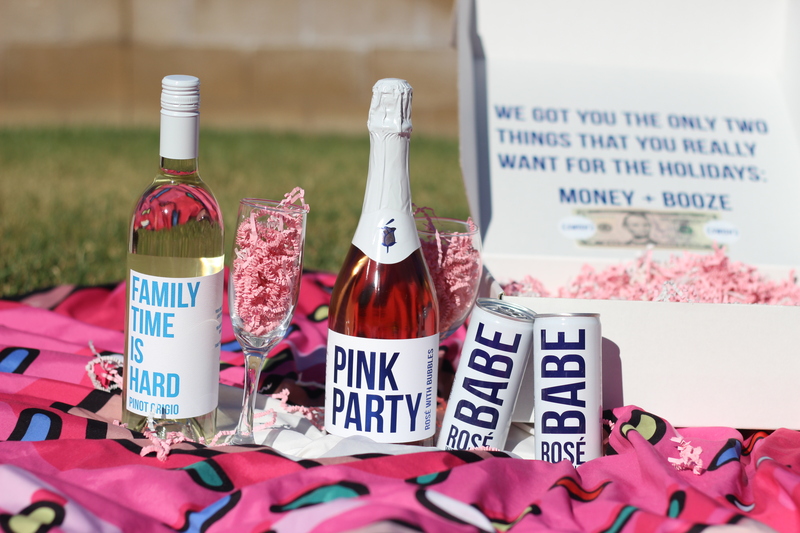 For that mom that needs to “WINE” down after a long day with crazy kids, or that couple that need their romantic time in, girls night in, or just BECAUSE! 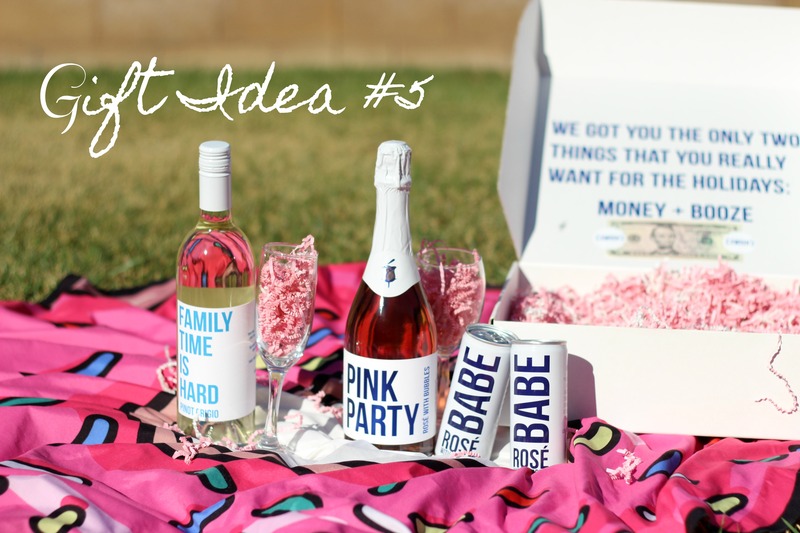 I think you can’t go wrong with a bottle of bubbly or pinot grigio as a gift. Plus wrapping them ..EASY! Which do you prefer to drink? Red, white, or champage..etc?? I was sent this pretty awesome package from Swish Beverages . This is their Holiday Gift Box and it’s under $50! 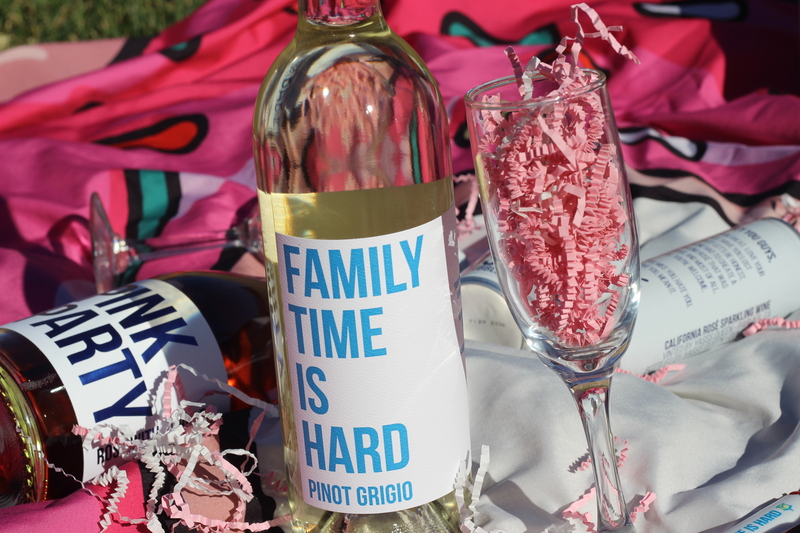 In the box you get a pinot grigio that says “Family time is hard” haha. I love that! You also get their pink party Rose with bubbles YUM ! I have had this one before and obsessed!